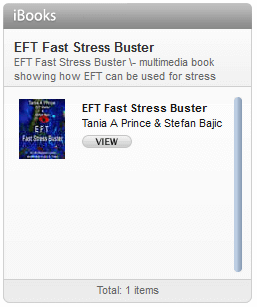 EFT can be extremely effective in getting results. 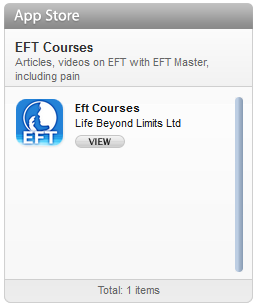 For the most part when using EFT we typically look for the foundational events that are supporting the current issue. We then clear the emotions/energetic disturbance around those events. Typically we work on events from early childhood upward as these seem the most accessible to the client. However roots of problems may stem deeper, such as to those events that occur during the process of birth or we may event inherit the problem from past generations or from past lives. How can we work with deeper rooted issues? Deep State RePatterning is a process that I developed to directly answer this question. 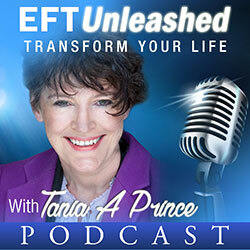 It is a simple process that combines EFT with NLP, Soul Retrieval, Inner Child work etc, that allows us to directly address deep roots to problems. Deep State RePatterning (DSR) creates a safe place for the client to explore these deep roots, by dissociating them from the root event they are working on. This is achieved by getting them to imagine that whatever the root event was, is on a screen in front of them. And that they see whoever they need to work upon on that screen. For example if they are working with a younger version of themselves they would see that younger self on the screen. (As opposed to viewing the event from an associated perspective: looking through their eyes as if they are still in it. Using an associated perspective can result in experiencing a higher degree of emotion) Putting the event on a screen allows them to be in control of the emotions they experience now. For example, if you imagine an event of your own and for the sake of this experiment, make that an event in which you had a great time. Put that event on a screen, move it further away from you. Notice how you feel. Bring it closer to you. Notice how you feel. Now put it back to how you originally envisaged it. Generally when you move something away from yourself the feelings diminish. When you bring it closer they increase. With DSR you can work with root events that stem from Past Lives and the Ancestors. (You don’t need to believe in the concept of Past Lives to use this approach as you could equally see it as a metaphorical process for working with issues. The mind loves metaphor). Well anyway, I would just like to share with you a case history submitted by one of my trainees, Julie Brett-Bellis . This case history demonstrates how Julie integrated the more traditional EFT with the Deep State RePatterning approach. In it she works with the concept of past lives and ancestors. The client involved in this case history has given permission for this to be published. Client Objectives: The Client wanted to achieve freedom from these emotions and to feel that she could make decisions , and not be concerned or worried about being “the odd one out “ or feeling “inferior” to others. She felt that she had “always had these problems, and believed in past lives, as she commented that she thought “that she might have brought them with her from a previous life time. As the client began telling her story, I noticed that she had a shortness of breath, and her voice sounded strained and broken as she continued. Her body posture became hunched over, and her shoulders drooped considerably as she told me that she had always felt this very strong emotion of not feeling “good enough”, or simply “not worthy”. I paused and asked client if she was OK to continue, and she laughed and said that she was “more than ready!” Her shoulders “ached and felt sore and heavy she commented”, and that she felt she was carrying lifetimes of burdens on her shoulders”. I questioned the client further, and it was apparent that her belief system supported “Past Lives/Reincarnation/Karma. I explained that in order for us to deal the problem at root or core level, so that it no longer held any power/hold over the client, it would be very useful to look at the initial deepest root of this problem and what it might be – or where it might lie. (Client agreed with this statement). I further explained that I didn’t know where the deepest root (or core) of this problem might be for them, but the issues or problems that they were currently experiencing can stem from either: past life experiences, or from family generations, or from within the womb, prior to the birth experience, and possibly even post birth experience. I paused and asked the client if she was alright or OK with that information, and did I have her agreement to continue. The client indicated that she thought it was from a past life time, “long, long ago”. I asked her if she felt it was from a previous or earlier generation of her family. Client replied, “from many generations, I don’t know how many, but going back to almost ancient/”cave men times when people worshipped around the Stone Circles. I want you to imagine that there is a screen in front of you, and you have complete control over this screen, all the time. You can bring it forward or whizz it further back – and away from you if you wish….you can even zoom it away from you, out of this room, until it is a pin head or tiny dot…you have control…….We then practiced zooming in and out, closer and further away, so that the client became familiar with this technique. She indicated that she liked using this method and found it easy to imagine. I then asked the client to place the screen at a distance that felt comfortable for her, and then to describe what she was seeing or sensing when she looked at the screen. The Client described ancient Stone Circles, in the centre of a forest, with brilliant sun light shining all around. There were many people gathered around these circles, standing inside them, and they were praying or involved in some kind of spiritual ritual, connected to nature. The person in the centre of this group was identified as female, and the client felt that she was very connected in some way to this person…..like an ancient ancestor…. She sighed, and looked a little emotional, so I asked her to place the screen at a comfortable distance, and she nodded and zoomed it back a few feet, and commented that “it felt better”. I then paused and gave the client a few moments just to process what was happening on the screen, and then asked her what was happening to this female in the centre of the group, surrounded by stone circles. Client’s reply: “She is looking very sad, I don’t know why; everyone is looking at her, as though they are waiting for her to do something”. “She feels unworthy or not good enough and they’re all starting at her”. “She feels sad, very sad – because she is feeling not good enough,” continued the client. Three times with client repeating and performing KC, then seven point tapping sequence. Asked the client how she was feeling emotionally, (SUDS) 0 being lowest intensity and 10 being very intense emotionally. She replied 9, and then said that she (the client) felt physical pain in her body. I asked her to zoom the image further away until she felt comfortable, so that we could deal with the physical pain issue and then go back to the image on the screen shortly. I asked its colour/shape/ and location. Client replied: It’s a seven, and it feels like a piece of black coal, in my shoulders and heart. Even though I have this black coal feeling in my shoulders and heart, and it’s a seven, I totally, I completely love and approve of myself. This black coal feeling in my heart and shoulders, feels like iron. This feeling black coal, iron, shoulders, etc for rest of sequence. Then asked client what was the intensity of the feeling: Eight (SUDS. Client: “Black Coal, fluttering, as though it’s moving from my shoulders and neck to my heart”. “Energy movement is what it feels like”, commented the client. Even though I have this black coal, fluttering feeling in my heart, and it’s an eight, I totally and completely, love and approve of myself, I do. Client feedback: Client took a deep breath and smiled. SUDS – 5. A Lighter feeling, spreading down the body from the heart, towards the bowels, smaller in size and vibrating now. Even though I have this lighter, butterfly feeling in my heart and down my body and it’s a five, I totally, I completely love and approve of myself, yes I do. Client smiled. Crown through to UA (under arm). This lighter butterfly feeling, in my heart, down my body, light as a butterfly feeling, I can choose to be light, this butterfly feeling, in my heart, down my body, I like this butterfly feeling, light as a butterfly I am. Client laughed. Shape: Valve, like a pressure cooker valve at the front and back of the heart. Client started burping and saying that she felt she was releasing “steam from a pressure cooker”. Even though, I’m releasing steam, like a pressure cooker valve, from the front and back of my heart, I totally, I completely love and approve of myself, right now. Client continued tapping the sequence and burping. Laughter ensued and she laughed heartily. Feedback: She smiled and laughed and commented that she felt “great”, and I asked her the intensity now – she said without hesitation 0, and a light vibration. I asked her what the vibration felt like, and she said it felt positive, like she had a butterfly floating around her heart and bowel area. I then asked the Client to try to get the original feelings of the trauma back, and she felt a trigger memory – of being unworthy surrounded by staff in a work situation, where she was a senior member of staff. She informed me that she felt that everyone was looking up to her for guidance and even though she was more than capable, she felt unworthy. I asked her if she was OK to continue and she nodded and replied, “yes”. We then went back to the screen that was “On hold” so to speak, and I asked the client, to observe the images again, and the colour and intensity. She replied thus: The women in the centre is feeling sad and unworthy. I then asked: “Why is she feeling sad and unworthy, if you had to guess, just say what you’re seeing now at this moment on the screen. Client replied: “She is an important figure, a Priestess, someone who is actually very respected, but she doesn’t feel that way inside, she lacks confidence in her ability to lead others, she feels unworthy”. “She’s always felt that way and doesn’t know why”. Even though, she feels sad and lacks confidence in her ability to lead others, I totally, I completely love and approve of her, anyway. Three times starting with Crown, and ending under arm. “What’s happening now?” I asked the client. The woman in the centre of the circle is raising her arms to the Heavens, and is slowly turning around in a circle, she doesn’t look as sad now, and she next raises her head to the sky and rays of sunlight beam down from the sky, surrounding her and she feels a great sense of peace. She’s OK, she’s fine. She feels a connection to the Divine, to the Sacred. The people around her are smiling, and silently encouraging her to continue, as they respect her and approve of her, she felt. It was as though they were telepathically saying this to the female Priestess on the screen. Client began to cry, and I reassured her that it was OK to continue if she wished……she nodded and said that it was as though the person on the screen was experiencing an “awakening”, which was very reassuring and seemed to melt away the negative feeling or vibration in her (client’s) heart. “What is she learning from this experience do you think? Client replied: “It’s OK to believe in herself, to trust her feelings and her ability to lead others – she is feeling worthy and she likes that feeling”, smiled the client. “She is accepting who she is and feels worthy of being a Priestess, she’s OK, she is smiling and looks happy”. Even though, she felt unworthy and didn’t trust her feelings or her ability to lead others, she now totally and completely, loves and approves of herself, and I love and approve of her, too. What life lessons/learning (s) do you think you can take from the person on the screen in that lifetime, that would set you free and help you at deeper levels in this lifetime? Client replied: The lesson I’ve learned is that I can talk to groups of people as a team leader and know that I am worthy, because she (Priestess in screen) has stood, literally in “her own light”, and demonstrated to me that my light is within, from a very spiritual perspective and I can be heard by others, I am worthy, and good enough – as good as anyone else! I can shine my inner light –it feels good, too! Requested client to imagine getting into the screen, and check their emotions to see if there is anything further that needs to be cleared. Client replied: “Nothing” – and that she felt an increased sense of well-being. Does this female, the Priestess, have a gift for you, do you think? Client”, without hesitation replied, yes”. Do you wish to integrate this gift into your present lifetime? What do you think? Is it safe for you to do this? Client replied, yes, rather excitedly and her face looked much brighter. KC: “Having that sense of re-connecting with that part (client interjected “sacred), so we incorporated “sacred part” into sequence. Eye Brow: I am beginning to connect with all those truly wonderful resources, yes I am. Side of Eye: I am feeling and sensing that connection in a wonderful way, yes I am. Under Eye: That wonderful wisdom and lightness, I am feeling that right now, oh yes, I am. Under Nose: Connecting with all that inner peace and worthiness that that child has right now. Chin Point: I am feeling all that strength, that inner strength now as all the parts begin to re-connect as one, feeling integrated, whole and complete, I am. Collar Bone: I am feeling all of those wonderful feelings and experiencing that sense of oneness, right now. Under Arm: I am now allowing that integration to complete and feeling those truly wonderful feelings of connection and wholeness, right now”. Client contacted me a week later to say that she was feeling “absolutely fantastic”. I asked about her if she had any recurrence of her physical symptoms in the shoulders or neck area and she replied, “None”. Client text-ed me to say that she was still feeling “wonderful” and felt that the session was deeply transformational.